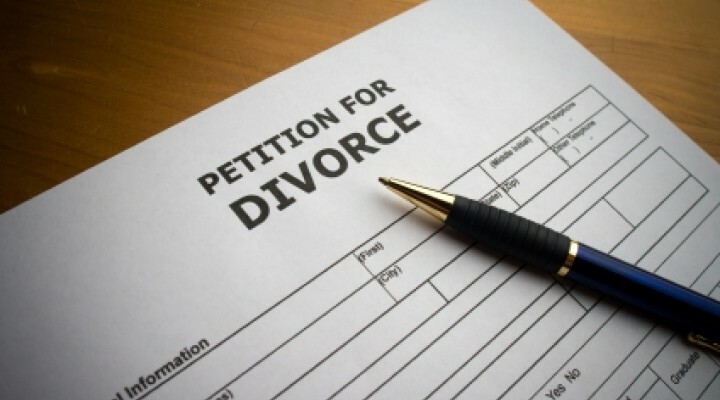 The aim of the new online divorce petition is to make it more user friendly. The idea behind the new form is to allow people without legal representation to commence their own application to the court but there are some potential problems. Petitions for divorce based on adultery or unreasonable behaviour, as the two more immediate and fault based options for proving irretrievable breakdown of the marriage, are very common and often serve to increase disharmony at a time when the opposite would be more helpful. Resolution family law members know how to craft a petition that aims not to inflame any dispute more than is necessary. When acting for people on divorce, we do not encourage the naming of a co-respondent to an adultery petition. There is no need for this but the new form might lead someone to include a co-respondent without understanding the extra problems and costs this can cause. It can often increase conflict which specialist family lawyers endeavour to avoid to enable a petition to proceed on an undefended basis. A defended petition is not for the faint hearted. Few people applying for their own divorce understand the need to apply for a financial order on the divorce petition to avoid the remarriage trap. Parents caught up in conflict between the adults often ignore the potential harm their conflict creates for the children or blame each other parent whilst accepting no personal responsibility. The divorce proceedings have removed all consideration of the children from the divorce unless a stand alone child arrangements application is made. Recent research that was led by Professor Trinder of the University of Exeter has found that the fault based divorce in England and Wales encourages people to exaggerate their claims of behaviour or adultery. Many people prefer to use adultery or behaviour to avoid having to wait for either two or five years separation for their divorce. Some respondents complain that particulars claimed in a petition are not an accurate description of the marital breakdown. They do not understand that the court rarely needs to make judgements about the truth of the allegations. In a recent case, much publicised, Mr Owens, has challenged a mild set of unreasonable behaviour claimed by his wife. A decision of The House of Lords is awaited as to whether the petition that he has defended should allow Mrs Owens to be divorced or not. The lower courts have found her allegations “too thin” to justify the divorce. In the 1980s, 64% of unreasonable behaviour petitions made allegations of physical violence whereas today that percentage has dropped to 15%. Society does not have as high a bar for unreasonable behaviour today as it did 30 years ago but will Mr Owen’s case change that and take us back? Resolution family law members have for a long time been lobbying the government to introduce a no fault divorce system that avoids blaming a person for their behaviour or adultery to be divorced. There is considerable opposition to such a change even though there are many good reasons for it. The government appears to have no appetite for a change in the law nor has it shown willing to protect the increasing number of cohabiting couples who have inferior rights on separation to those who have married. Financial claims are often missed or misunderstood by separating and divorcing couples. A family lawyer will nearly always advise a petitioner to include on their divorce petition a claim for a financial order. This is so even if the intention is to obtain an order that dismisses claims because it is unwise to leave claims unresolved. Despite pension sharing being available for nearly 18 years it is surprising how few couples understand that a financial order can include some pension provision. Statistically women are not as well prepared for retirement as men. If couples divorce without legal representation, the risk of inadequate financial provision being made is likely to increase with the introduction of the new form this month. The average married couples’ retirement pension pot is over £100,000, with the highest level of divorces occurring when couples are approximately 40 to 45 years of age. Whilst they have some time left to accumulate more resources before retirement, they could be foregoing a financial remedy without realising it. Please contact the family team at Whitehead Monckton or Docklands Solicitors for advice on divorce and finances as well as the impact of the breakdown of the relationship and its consequences for the children.